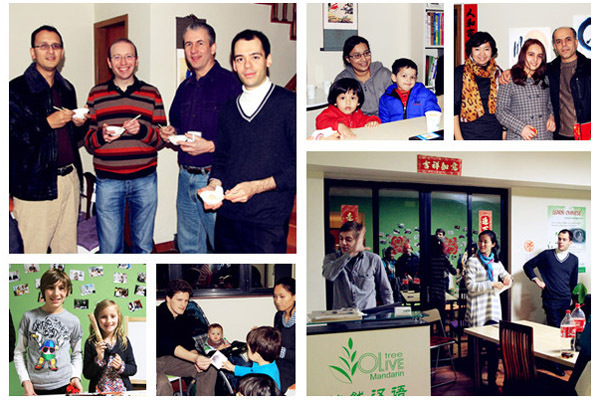 To celebrate Chinese New Year, Olivetree Mandarin held a New Year party on January 17th. Many of our students together with their family and friends came to the party to enjoy traditional Chinese New Years activities. We had a few games including a calligraphy competition and a Chinese question and answer match with prizes for the winners. Many of the students participated and had a lot of fun. 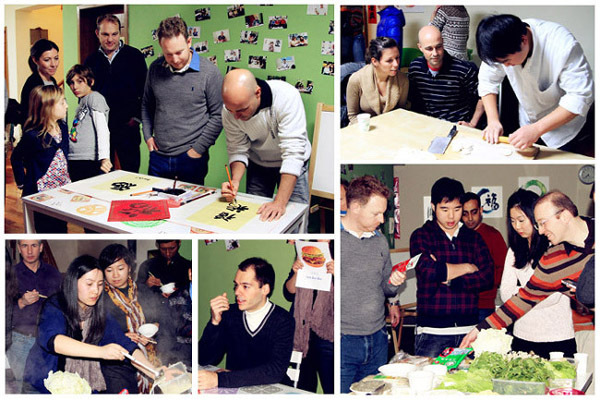 We had a chef at the party who was showing the students every detail on how to make dumplings (jiaozi). We made a lot of dumplings and every student had a chance to try the dumplings we made together. Some lucky ones won prizes if they got a dumpling with a chilli in it. We made three types of hotpot; a non-spicy vegetable hotpot, a spicy hotpot with meat, and non-spicy hotpot with meat. 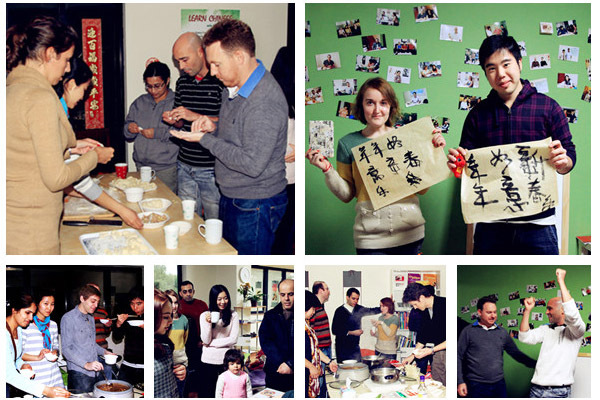 Everyone had a great time socializing and enjoying the delicious hotpot! One of our students at the party happens to be a magician. He entertained everyone with his amazing and humorous tricks!